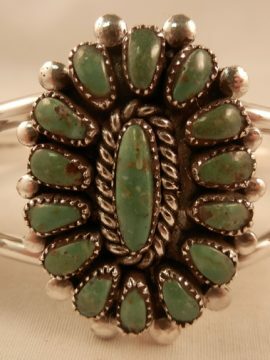 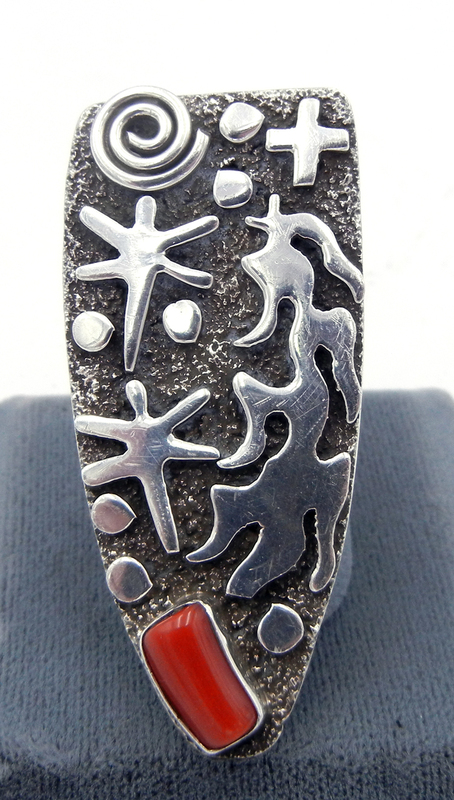 Created in his signature style, this large, unique ring by Navajo silversmith Alex Sanchez features sterling silver, petroglyph style designs and a single, rectangular coral piece. 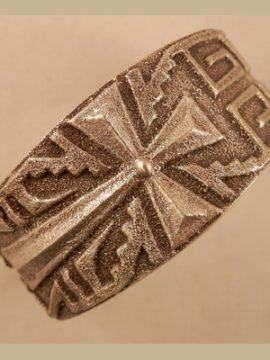 The base of the ring, an elongated shield shape, is appliqued with a cornstalk, two dragonflies, a cross, a whirlwind, and several flattened sterling silver dots atop an oxidized, textured backdrop. 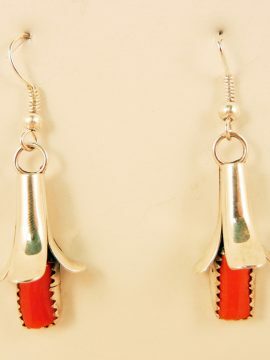 A single, rectangular coral piece rests along one side of the bottom, deep red and set in a simple sterling silver bezel. 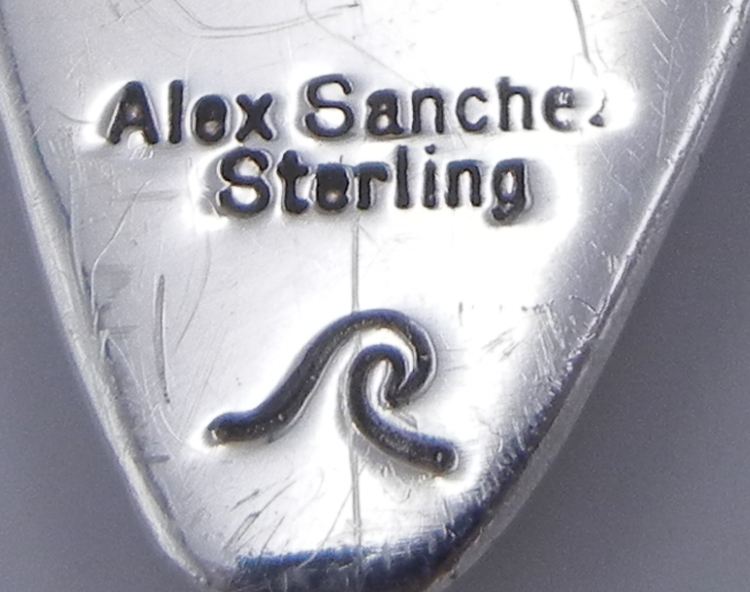 Shank of the piece is stamped with fine lines and dragonflies. 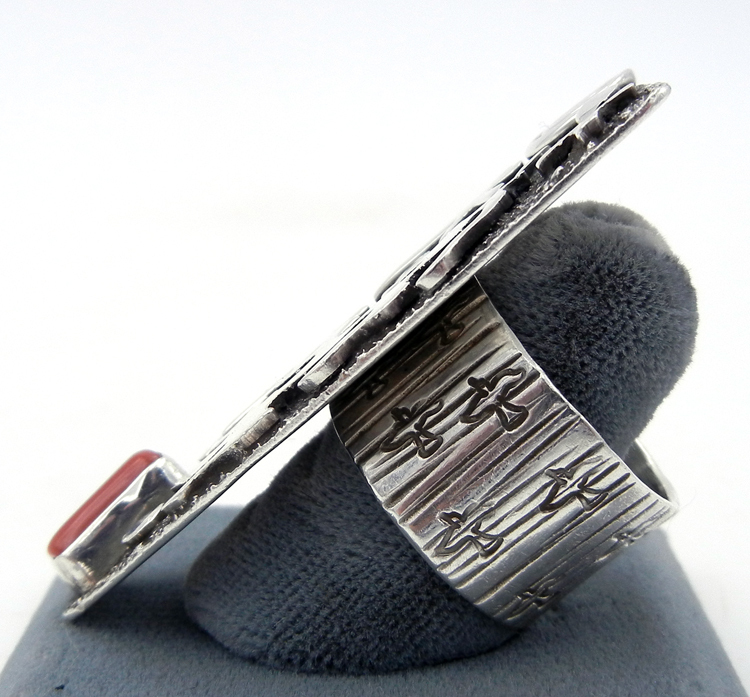 2 1/8″ long x 1″ wide. 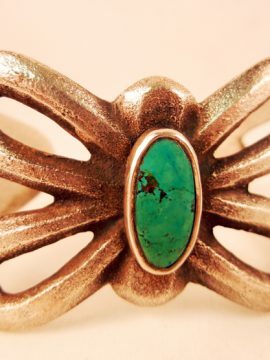 Fits ring size 9 1/2.